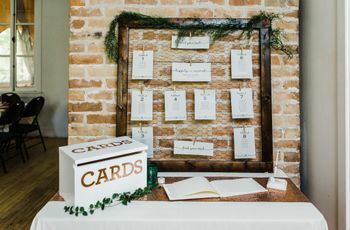 Etiquette Tips for Wedding Thank-You Cards | Wedding Ideas ARE YOU A VENDOR? 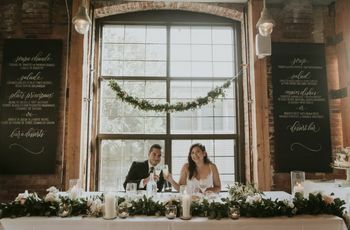 After you’ve finished basking in the glow of your newly minted marriage you’ve got a few loose ends to tie up, namely sending out your wedding thank-you cards. Yes, you’d probably rather spend your post-wedding days dreaming about your honeymoon, but you’ve got a bit of work to do. Luckily, the process is painless. Follow these tips and it’ll be smooth sailing. Here are a few etiquette tips for wedding thank-you cards. 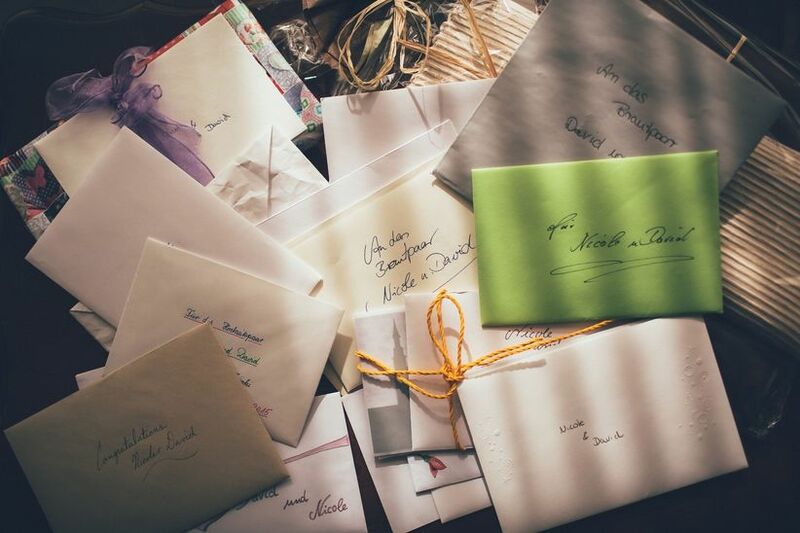 Should wedding thank-you cards be handwritten? Sorry to all you tech lovers, but your wedding thank-you cards really should be handwritten, so put down your MacBook and start working on your cursive. If your penmanship isn’t particularly attractive, ask a wedding party member to lend a helping hand. Note: these don’t actually have to be works of art, what matters here is content, not presentation. What should I write in a wedding thank-you card? There really is a science to penning the perfect wedding thank-you card, so listen up. It all boils down to a basic formula: greet the recipient, thank them for the specific gift they sent, let them know how you’ll use it and finish up by thanking them for attending. 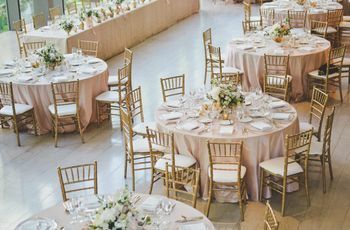 If the guest couldn’t make it to your wedding day, bridal shower or other gift-worthy wedding events, swap the ending for something like “sorry you couldn’t make it!”. Remember to proof them if you’re doing a lot of cutting and pasting, you don’t accidentally want to thank someone for the wrong gift - sincerity is key. Does every gift get a wedding thank-you card? Yes! Every prezzie warrants its own unique wedding thank-you card. 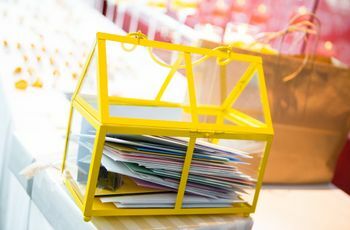 You may be tempted to double stuff envelopes after your wedding with thank-yous for wedding shower presents and wedding gifts, but these should be separate pieces of postage (and sent out at different times!). When should I send out wedding thank-you cards? Your wedding thank-you cards should be mailed out ASAP. No, I don’t mean that you should rush home from your honeymoon to thank your aunt for that snazzy new espresso machine, but they should be sent out in a timely fashion. What exactly does that mean? 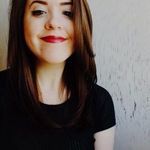 Well, if you receive a gift before your wedding - for something like a bridal shower or an early wedding gift - send out your thank-you note no later than three weeks after it’s received. If you’ve received your gift on your wedding day, you’ve got a little bit more wiggle room (your guests understand that you’re busy). Approximately three months is the rule of thumb, but don’t put it off for too long.